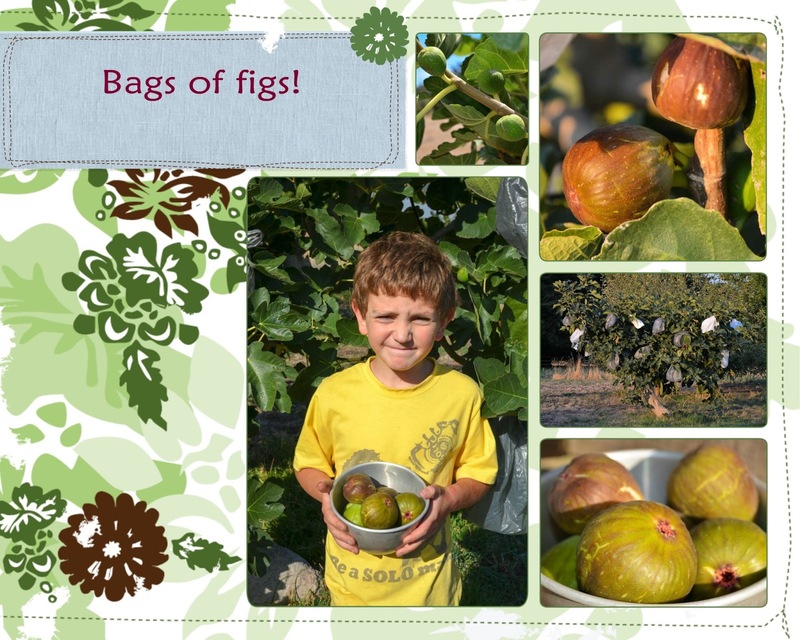 Hamby Home(in)stead ...: Bags of figs?! As a recent recruit to fig harvesting it seems there is a very short interval between "that one will be ready tomorrow" and "drat, the birds got it"! The birds and I have different views as to ripeness and they pick/peck the ones I want when I am not looking - hence my fig tree is now festooned with plastic shopping bags, as recommended by our landlord. I'm not sure the birds are greatly scared by the bags but it was cheap and fairly quick to organise. 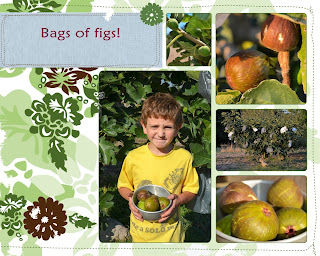 Vaughan and I harvested 10 figs this afternoon. He had already picked one this morning and I have my eye on two that I reckon will be ready tomorrow - if the birds don't get them first! I'd like to make another batch of the savoury(ish) fig jam (or half-batch if that is all the fruit we manage to collect).